Excavation of a Neolithic/ Bronze Age settlement in the Kryvina Peat Bog (Northern Belarus). The Asaviec Archaeological Project is of interest to both experienced archaeologists and anyone with a passion for history and archaeology, travel and adventure. As well as earning valuable field experience, our students are taught all of the essential skills of excavation work and basic in-field recording and artifacts processing methods. Evenings filled with fun activities complement our workdays, while weekends of sightseeing and cultural exploration are available to those wishing to further explore Belarus. Detailed Certificates of Participation are available upon request. Granted the agreement of your University, they may be used for receiving academic credit. Near the village of Asaviec, Beshenkovich district, five Neolithic-Bronze Age settlements were found and partially explored North of a large turf massive. The initial settlement was situated on a lake shore. Variations in the water level forced the settlers to gradually move the village uphill. As a result of climatic and social changes, the settlements were abandoned and eventually covered by a thick layer of turf. 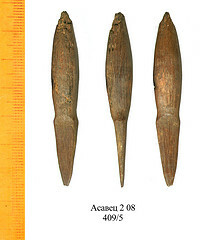 This created an anaerobic environment, which resulted in excellent preservation of wood, bone and horn artifacts. 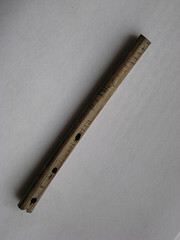 During the Neolithic (4th mil.- 1st half of 3rd mil. BC), inhabitants of Asaviec settlements were mainly hunters and gatherers, as is demonstrated by the presence of numerous hunting and fishing gear, bone remains belonging to animals, bird and fish, as well as broken shell fragments, remains of fruits and berries. During the Late Neolithic and Bronze Age, local populations began to practice agriculture and cattle herding.Many crushed human bone remains found in the occupation layers of the settlements strongly suggest practice of cannibalism, possibly ritual. The Narva Culture, inhabitants of which occupied Asaviec micro-region during the Middle Neolithic Age, extended through Northern Belarus and South-Eastern Baltic regions. During the Middle Neolithic, due to the influence of migrating Finno-Ugric tribes, Usvetz Culture was formed on the foundation of Narva Culture. By the Late Neolithic, the Northern Belarusian Culture was created under the influence of migrating populations from the Dniepr River and Southern Baltic region. This culture remained in the Dvina Basin until the middle local Bronze Age. Excavations of Asaviec settlements exposed remains of wooden structures with interior hearths built on sandy platforms erected upon thick layers of bark. Larger exterior fire pits, meant for wood working and pottery firing, were also found. A great quantity of ceramic vessels, among them goblets, bowls and plates showed a wide variety of style of pottery making and decoration. Vessels with both flattened and pointed bases were used on site. While most pots were decorated by means of cords, stamps, pits and notches, some were ornamented with full intricate motifs and anthropomorphic and zoomorphic shapes. 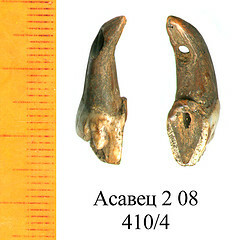 Over 600 bone and horn objects found in Asaviec to date make up over half of prehistoric bone tools unearthed in Belarus. Among them there are well preserved arrows and spearheads, knives, needles, axes, adzes, chisels, shovels, paddles, harpoons and miniature fish hooks. Stone and flint tools are also abundant. Arrowheads, flint blades and polished perforated axes were found. Asaviec settlements preserved a wide range of objects of prehistoric art. Among the unique artefacts, there are carved representations of water birds and people, wood and bone figurines of people, animals, snakes and birds, as well as amber and bone jewellery and pendants. Our goals for the 2009 season consist of continuing the detailed excavation of the settlements. On the bases of thorough recording and study of the spacial and chronological distribution of the artefacts in household context, we will investigate the socio-economic relations in this developing agricultural society. We will be staying in small and cozy wild camping site, about 15 min walk from the excavation area. Be aware that while the temperatures might get quite hot during the day, it will be significantly cooler at night, so consider bringing a few sweaters and a warm sleeping bag. We always get a few days of rain, therefore a water resistant tent is a must. There are several rivers near the campsite, they are excellent for bathing, washing, and fishing. Fields of raspberries, blackberries, wild blueberries, wild strawberries, and mountain berries can be easily found within walking distance from the site. The town of Beshenkovichi is about 10 km from our camping site, and daily buses run there from the nearby village of Asaviec. In town, toiletries and food can be bought at a reasonable price, and banks, internet facilities and health services can be accessed. We will be cooking on the open fire and gas stoves. In the mornings, we will generally have a light snack consisting of tea/coffee, and sandwiches. Second breakfast and lunch will be eaten during rest breaks on site. Excellent quality cheese and dairy products as well as fresh vegetables can be bought locally from villagers. Since physical work in the field will be demanding, meat or another good source of proteins should be consumed for dinner (BBQs are very popular in the field). You are responsible for your own camping equipment (tent, sleeping bag, matt, which you can either bring with you, or purchase in Belarus once you arrive. Our objective is to explore the socio-economic relations at Asaviec at this crucial period of transition from hunter-gatherer subsistence to increased reliance on agriculture and animal herding. Our long term goal is to work with an interdisciplinary team of specialists, exploring gender relations, spiritual and sexual aspects of the lives of the Neolithic Asaviec community. Over time, we intent to develop an interactive approach to our research by using internet publishing and media to foster global participation and archaeological discourse and exchange of ideas between both professional archaeologists and those with a passion for human past. Our season will last 3 weeks. The cost of the project is $1,000USD. This price includes basic food supplies on-site, transportation from Minsk to Asaviec and back, your accommodations in Minsk, as well as the bureaucratic expenses for registration in Belarus. For those interested, weekend sightseeing trips will be organized at a small additional price. La vita è troppo corta per essere trascorsa nella pianura padana, se ti è possibile, vattene. Il tuo corpo e la tua anima ti ringrazieranno.